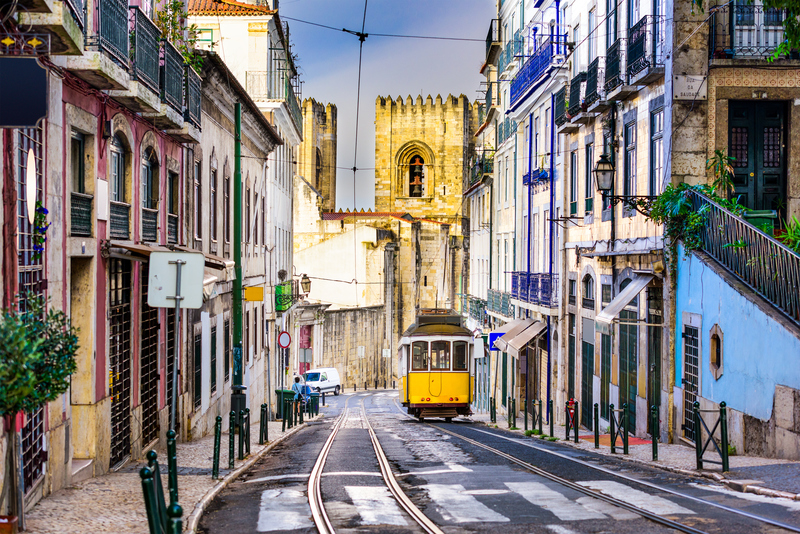 British nationals continued to lead foreign property investment in Portugal in 2016 despite concerns that Brexit would stem interest in purchasing real estate. New figures from SIR-Turismo Residencial show Britons were responsible for almost a third of all transactions in Portugal. According to Confidencial Imobiliário, which manages SIR-Turismo Residencial, the area between Albufeira and Loulé was the most popular, with British buyers being responsible for almost half of all property deals in that area. Chinese investors also made their presence felt in this sought-after part of the Algarve, with 13 percent of all international deals. Overall, Britons accounted for 31 percent of all real estate purchases involving foreigners. According to researchers, the number of transactions by British nationals actually rose during the second half of 2016, but said that the weaker pound, a result of Brexit, did see a drop in the amount spent by British investors. For the Elite, It´s tee time at the Algarve´s golf resorts! Quinto do Lago covers nearly 2,000 acres between the Atlantic Ocean and the Ria Formosa Natural Park. Pictured: Quinta South. Portugal—an underrated nation of picturesque countrysides, pine forest reserves, and oceanside resorts. Its southernmost Algarve coast sprinkles a savory mélange of sunshine, manicured golf courses, sandy beaches, limestone caves, and glowing grottos. The region’s Mediterranean climate lures 10 million annual visitors, especially European tourists, nature adventurists, celebrities, and high net-worth golf enthusiasts craving an exclusive escape. Here, the luxury amenities and investment opportunities are as enticing as a hole-in-one on a Par 3, only more accessible. Quinta do Lago is one of Europe’s premier golf and residential destinations. Quinta do Lago boasts three premier 18-hole golf courses. While the Iberian nation doesn’t claim a highly ranked professional golfer, its courses are world class (and in some cases, for sale). Famed Quinta do Lago (frequent site of the Open de Portugal) consistently ranks as one of Europe’s premier golf and residential destinations, with three prominent 18-hole golf courses—Quinta do Lago North, Quinta do Lago South and the Laranjal Golf Course. Ria Formosa, a UNESCO protected nature reserve in the Algarve region. The Algarve region is renowned for its natural cliffs, caves, beaches and water sports. Quinta do Lago is a lakeside paradise. Quinta do Lago Resort covers about 2,000 acres between the Atlantic Ocean and the Ria Formosa Natural Park, a UNESCO protected nature reserve in Algarve. Now, amid a $58.2 million upgrade, the resort is expanding with a new residential development—Rerserva at Quinta do Lago, a luxurious lakeside complex and private club at a coveted location near the resort’s links, restaurants and activities. Rendering of Reserva Penthouses which will include expansive terraces and pools. Designed by local architect João Cabrita, the D-shaped development will include 26 residences inspired by natural surroundings—13 penthouses and 13 ground floor Garden Residences (each with three bedrooms with en suite bathrooms and private swimming pools with lake, sea and dune views). Reserva at Quinta do Lago prices start from $2.33 million and up. Reserva at Quinta do Lago will feature 26 three-bedroom residences with en suite bathrooms. Reserva Penthouses will boast expansive roof terraces with pools, decks, open-air lounges, and the latest home security and technology (sustainable solar roof panels, climate control and hydraulic under-floor heating). Garden Residences will feature subtropical landscaped gardens and lawns. 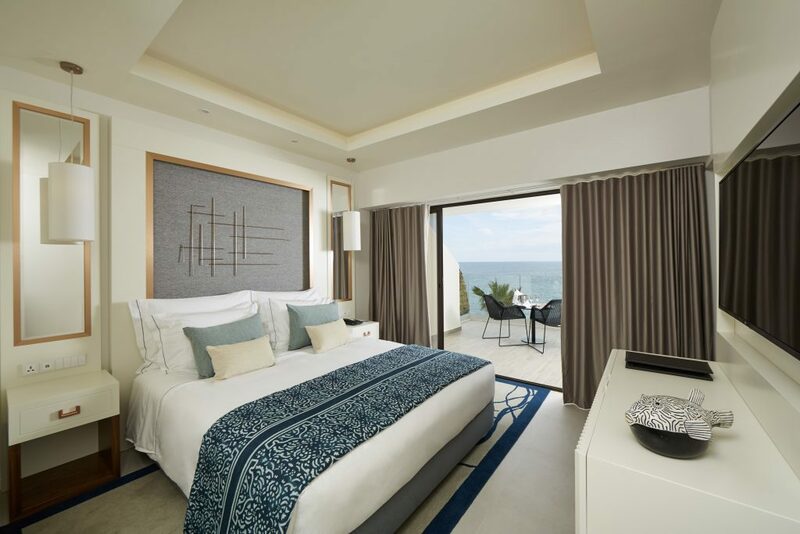 All residences will be outfitted with contemporary interiors, open layouts, natural stone and phenolic wood finishes, Bulthaup kitchens, premium appliances, and Villeroy & Boch sanitary ware in bathrooms. Rendering: the private resident club will offer a heated outdoor pool, gym, treatment rooms and members lounge. Model aerial view of private club at Reserva at Quinta do Lago. The private resident-only club will include a 24-hour concierge, heated outdoor pool, members lounge, private gym with treatment rooms, and lakeside sun terraces—a short walk from the beach, fine dining and, of course, golf courses. Aside from Reserva at Quinta do Lago, seven other golf or holiday resorts hit the Portugal market recently, courtesy of the Oceanico Group and real estate firm Savills. Six of seven sites are in the Algarve region and ripe for investment. In Portugal, seven golf and holiday resorts hit the market. The portfolio includes two signature golf courses, over 300 holiday properties, leisure facilities, and development land—featuring Amendoeira Golf and Leisure Resort; Belmar Spa and Beach Resort; Baia da Luz Residential Resort; Estrela da Luz Leisure Facilities; Jardim da Meia Praia Leisure Facilities; Flor do Mar Holiday Resort development site; and Royal Obidos Holiday Villa development site (located on Portugal’s west coast, by prominent Royal Obidos Spa and Golf Resort). The portfolio includes two golf courses, over 300 holiday properties, leisure facilities, and development land. This portfolio and established businesses can be acquired together with capital receipt generated through ongoing sales of the holiday units. Amendoeira Golf and Leisure Resort, the portfolio’s largest property near Alcantarilha, covers 630 acres, 241 holiday homes, two 18-hole golf courses, and additional sporting facilities such as a nine-hole par 3 course, a clubhouse and expansive development land. Six of the 7 sites for sale are in the Algarve region. “In the last three years we have seen a surge in our golf course and holiday business performance driven by the quality of our resorts and the enduring appeal of the Algarve as a European and International holiday destination,” said Chris Howell, chairman of Oceanico Group. Algarve’s popularity and investment surge is most visible on Portugal’s beaches, lakes, runways and copious fairways. 93 countries recorded higher levels of peace in 2017, resulting in a slight improvement in world peace according to the annual Global Peace Index report. Produced by the Institute for Economics and Peace, this 11th Global Peace Index report found that while 93 countries recorded higher levels of peace, 68 deteriorated. The improvement in peace was mainly driven by lower levels of state-sponsored terror, extra-judicial killings and torture – and the prior withdrawal of military forces from Afghanistan by all but four of the 50 countries that provided military assistance. Read the Global Peace Index 2017 report here and view the Global Peace Index interactive map here. Find us on Facebook, Twitter, and Instagram. How would you like to feel today? Cheerful? Energetic? Creative? Inspired? Or adventurous? The time for visiting Portugal is now. Don’t put off till tomorrow, to another life, what can happen today. Check the wheel of emotions at www.cantskipportugal.com. Follow our tips for your trip and be inspired by Jack, Chloe and Klaus. Leave routine and stress behind, meeting rosters and your packed schedule. Feel the breeze of the sea as you sail along the Alentejo coast, walk along the green landscapes and the calm waters of the old volcanic craters on the Azores Islands, explore the waterways along the Levada walks in Madeira, or take a bracing dip in the warm water at the Algarve beaches. When every day seems the same as the day before, it’s time for you to take off and visit other cities and new places, to learn about new customs and mores, to unwind and charge your batteries. Lisbon and Porto are two cities with a river and a sea, plenty of attractive sites, shops and, of course, lots of entertainment. Learn about Portuguese art and be surprised with the new contemporary architecture trends, design and street art. When you feel like making a fresh start or a change in your life, there is nothing else to do but travel! Travel to discover Portuguese art and culture, visit the Historical Villages and Schist Villages and learn from the details of old traditional crafts. Travel to taste Portuguese typical food and to experience new flavours. Travel to be in harmony with nature at the natural parks like Serra da Estrela and Peneda-Gerês National Park. Travel to experience new things. Who said you’re too old to learn to surf? If something good happens, travel to celebrate it. If something bad happens, travel to forget it. And if nothing happens … go somewhere and make it happen! Don’t let life slip through your fingers. Don’t skip Portugal. Note: these films were shot in Portugal in December, during the winter. AS a first-timer to Portugal, I was keen to experience both sides of the country – city life and a much-needed beach break. And it certainly offers each in droves. My first stop during a short four-day visit was Lisbon. It may be one of the oldest capitals in Europe, but often goes unnoticed when it comes to deciding on a destination for a city break. However, things are changing and it’s slowly becoming a hotspot for those in search of a getaway that offers plenty of culture and things to do. You can’t help but feel frozen in time as century-old wooden trams rattle their way through the hilly streets of Lisbon. Those streets offer beautiful views of the shimmering Tagus River at almost every turn, not to mention the nostalgic Fado performers you’ll find belting out the mournful tunes that the city is famous for. First things first upon arrival in Lisbon, I headed straight to my hotel, the Tivoli Avenida Liberdade. If you’re looking for a luxurious, modern and nothing less than exceptional hotel in the heart of the city (just 15-20 minutes from the airport), this is the one for you. I was greeted at the door by a welcoming member of staff who escorted me to the check in desk, which was quick and simple – exactly what you need after a day of travelling! I headed up to my room to freshen up and to say it was a struggle to leave the room would be an understatement. The newly refurbished bedroom was spacious and although it was modern, it still maintained that cosy classic feel – almost like a home away from home. The room was complete with a Nespresso machine, which proved to be the perfect pick me up for the night ahead. Glad rags on and ready to make the most of the busy hotel atmosphere, I made my way to the Skybar for a much-needed aperitif. As I browsed the extensive cocktail menu and soaked up the stunning views over Lisbon rooftops, I realised just how wonderful the Tivoli Avenida Liberdade really was. The following day, we opted to explore the city by tuk-tuk, a method of transport that originated in Thailand but has become extremely popular here – so much so that many souvenirs now give a nod to the auto-rickshaw. As we made our way round the steep, narrow streets, the beauty really shone through. Pastel-tiled buildings add charm and character, while the rooftops that tumble down the hillsides result in multiple lost hours, simply because you just can’t stop gazing out. But be warned, no matter how great a photographer you are, capturing the depth of these stunning scenes is no mean feat, as I discovered while trying to snap unsuccessfully from every possible angle. In order to enjoy more of Lisbon’s breathtaking views, we climbed to the top of the Rua Augusta Arch. After some delightful, albeit thigh-burning, sightseeing, we unwound with a tipple – the local’s liqueur of choice, Ginjinha. It’s a sweet, syrupy, cherry-flavoured drink and can be found in the tiniest of bars which are dotted all over the city – many of them are tucked away, so blink and you’ll miss them and they are usually only big enough to hold three or four customers (you’ll find most queued down the street). For our next sweet treat, we indulged in some of Portugal’s famous custard tarts in a bakery that was built 150 years ago. If you want to experience the best of Lisbon’s nightlife, Bairro Alto is the place to be. It’s where the bars and restaurants come alive, but only at dusk. They offer a variety of options from cheap and cheerful to extravagant tasting menus. As I sipped on a cocktail and grazed on tapas dishes, I realised that it’s Lisbon’s blend of ancient history and modern vibrancy that makes it so appealing. Next, I headed to the Algarve in search of some much-needed sea, sand and uninterrupted sunshine. Upon arrival at the Tivoli Carvoeiro Algarve Resort, it became apparent that Carvoeiro had something in common with Lisbon – the views on offer were simply spectacular. Flanked by cliffs, rocks and glimmering sea water, relaxation seems top of the agenda at the resort. But if sipping on drinks poolside (or at the hotel’s newly refurbished Skybar) isn’t for you, the most popular beaches in the area are no more then a 20-minute car ride away. If you’re set on getting under the skin of the Algarve to find some off the beaten track gems, a coastal walk is the ideal way to do so. I spent an afternoon exploring the gorgeous limestone rocks, staring out to the glittering, blue sea and chatting to locals as I walked from my hotel to the local village. Here you’ll find souvenir shops aplenty and endless bars/restaurants – some authentic Portuguese, but also some that cater to the masses of British tourists that visit the area every year. This is also where you’ll also be able to purchase some of the finest Portuguese wine. I’ll be honest and say, from the outset, I wasn’t completely sold the idea of combining a city break and a beach holiday. But, with just a two-and-a-half-hour drive from the capital to the Algarve, it would be a shame to miss out on experiencing the different sides of Portugal. It strikes the perfect balance for both the beach bum and city slicker. Well, I for one can’t think of a better way to rest those achy thighs after all that sightseeing than chilling by the side of the pool with a nice, cold beer! 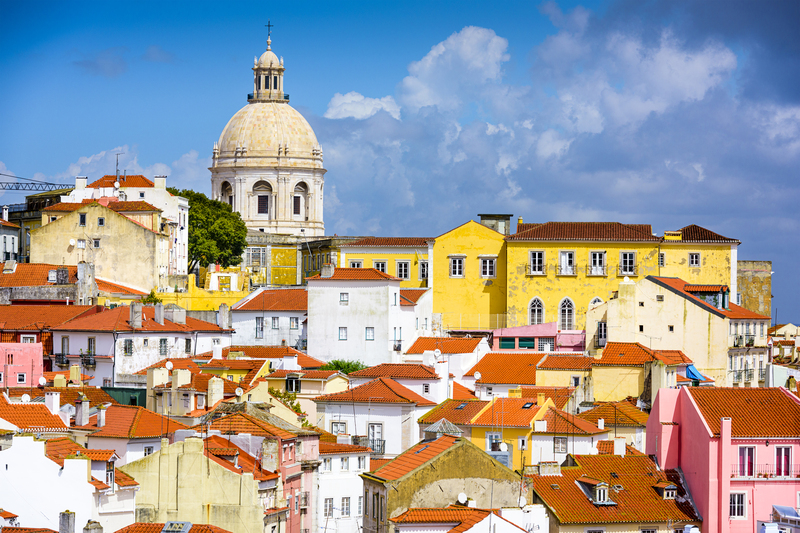 Monarch operate year-round flights to Lisbon from Birmingham, Gatwick and Manchester with fares from £42. Nightly rates at Tivoli Carvoeiro Algarve start from £198 and at the Tivoli Avenida Liberdade, Lisbon, from £170. Visit tivolihotels.com. Is Portugal the New Iceland? Are a lot of your friends in Portugal right now, Instagramming beaches and sardines? Here’s why—and what to see when you eventually make your own trip. What’s up with Portugal? Like, all my friends are going there. Congratulations, you have very hip friends. Portugal is a great place to visit if you like warm weather and fresh seafood. (The country is famous for its sardines!) Portugal is also pretty affordable, especially right now while the dollar is strong against the euro. Why is it peaking now? The truth is a little bleak. It was only a few years ago that the European financial crisis threatened to bankrupt Portugal. But post-EU bailout, the country has become newly revitalized. A combination of new local businesses and a burgeoning arts scene has made Portugal more vibrant than ever. Yes! Especially if you want to lounge on some truly stunning beaches. 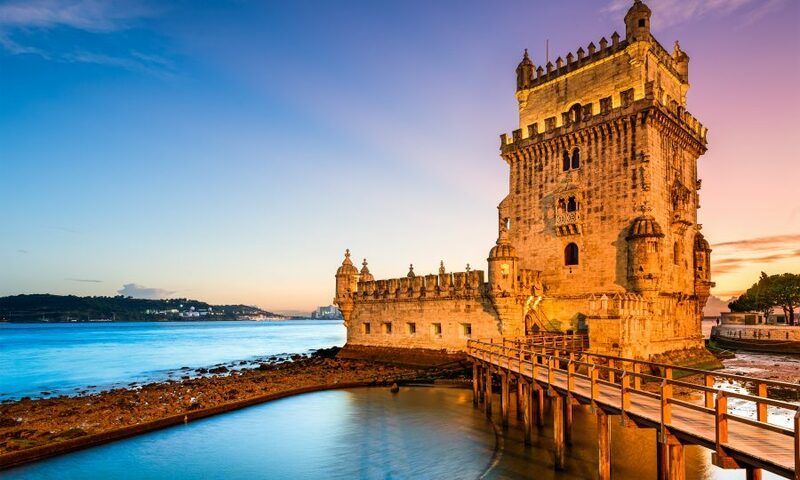 Portugal offers the scenic beauty and culinary delights of southern Europe at a good price. Is there any reason not to? Maybe the idea of doing a lot of walking uphill on cobblestones is not your ideal vacation. (It’s a good workout though!) Or maybe you’re someone who’s just not into seafood. Or you have a rare disease that makes you go into a blind rage every time you see a Cristiano Ronaldo jersey. Okay, I’m convinced. Where should I go in Portugal? The capital of Lisbon is an obvious go-to. It’s compact, meaning you can basically get everywhere on foot, whether you’re taking in the cultural activities like the National Tile Museum or stumbling out of the clubs on the Bairro Alto. Lisbon is an extraordinary city to wander. Every corner reveals a gorgeous church with a baroque facade or a bakery with delicately-made sweets. I’d also highly recommend hitting the southern coast. From Lisbon, it’s a short flight to Faro, where you can experience the country’s best beaches. About an hour drive west takes you to the town of Lagos where the beaches are tucked into rugged coves with magnificent rock formations. For just a handful of euros, you can rent a covered lounge chair and chill all day. Also, an easy train ride north will take you to Porto, where you can admire the rich Douro Valley and sample of city’s famous namesake dessert wine. If you’re looking to relax, you might end up enjoying Porto more than Lisbon—especially if you sneak into the pool at the Yeatman Hotel. The hotels are great, but entire-home Airbnbs are plentiful and relatively inexpensive. Find one with a terrace and drink wine while gazing upon the city. In Lisbon, I had no trouble finding one that was centrally located in Rossio for less than a hundred bucks a night. What should I eat and drink? Sardines! Eat a lot of them, especially if you’re there in the summer. Whether you’re eating them on a bun or over a bed of fries or just on there own, sardines are the country’s main culinary attraction. The local beer is alright, but you’ll want to try vinho verde, a crisp young wine that originates in Portugal’s Minho province. It’s sharp and bright—perfect when you’re feeling sticky and hot. Indulge in Portuguese pastries too! I recommend starting every day with one of Portugal’s famous egg custard tarts, pasteis de nata, which will pair perfectly with your morning espresso. High-end dining in Lisbon doesn’t have to be expensive either. A meal at one of Lisbon’s hottest spots, Taberna da Rua das Flores, for two people—three shared plates and two bottles of rosé—only cost us 50 euros. Similar terrific is Cantinho do Aziz, where you can enjoy Mozambican food in a quiet alley. And if you want to sample every kind of cured meat and wine the city has to offer, stop by the Mercado da Ribeira for an abundance of stalls and small restaurants in one place. I do it all for the ‘grams. Sintra probably has the best ‘gram game. Just a 40-minute train ride away from Lisbon, Sintra is a UNESCO-protected heritage site with a beautiful palace and a Moorish castle set atop a very tall mountain. The photo ops will be plentiful. Instead of the tourist bus, take a local buggy up the mountain for five euro to get a view of the entire valley. It’s been touristy though, so probably best to stick to weekdays for your visit. You can also turn that day into a beach trip by taking another easy 40-minute bus to Cascais (they come every hour). It’s not quite as gorgeous as the beaches in Lagos, but you can enjoy a beer and some grilled sardines on the sand, then take a train directly home from Cascais to Lisbon when the sun’s worn you out. So I should pack sunscreen. It’s one of the sunniest places on Earth. Definitely pack sunscreen. The recovery in Portugal’s residential property market is expected to continue in 2017 with estate agents and brokers predicting a rise of 30% in sales during the year. Buyers from overseas have also been returning, according to the Portuguese Real Estate Professionals and Brokers Association (APEMIP) which says that Portugal is in a unique position to offer political and social stability to foreign investors. Sales are being helped by lower mortgage costs with data from the National Statistics Institute (INE) showing that the interest rate on housing loans has fallen now for 13 months in a row to its lowest level since 2009. In the Algarve, for example, Casas do Barlavento has found that around 45% of interest from abroad is coming from the UK despite Brexit, followed 24% from Sweden and 15% from France. Portugal’s Golden Visa scheme, which offers residency to non-European Union property investors, is also proving popular with 16% of overseas buyers in this category. ‘It has been a long time for the recovery, but we are now seeing an increase in demand which is now not keeping up with supply,’ said Paul Cotterell, sales director of Casas do Barlavento. Price are also rising. The latest INE figures show that they increased by 7.9% in the first quarter of 2017 compared with the same period in 2016. Values for new homes increased by 4.2% and for existing homes by 9.2%. The figures also show that sales increased by 25.9% year on year to €4.3 billion and as well as the Algarve, the country’s capital city Lisbon is also seeing prices rise and sales increase. Foreign buyers can typically get a mortgage from a Portuguese lender for about half the value of the property they are buying home, according to agents. Buying costs, including sales taxes, land registry and stamp duty are about 7% and rental yields are also growing with some locations at 5%. The southern edge of Portugal, called the Algarve, has long been known as the Florida of Europe: the continent’s warmest weather and mildest winters, an embarrassment of golf courses, beachfront condo high rises and all-inclusive resorts designed for EasyJetters’ weekend breaks. Even with the delectable oranges—nearly the size of my head and dripping with sweet juice—it wasn’t enough to sell me on the region when I visited several years ago. I mean, if New Yorkers want that kind of vacation, the Florida of North America (i.e., Florida) is much more accessible. But a recent visit made me reconsider. Outside certain areas, those beaches are truly beautiful. The ocean is warm enough for swimming and punctuated with surf breaks. The restaurants are much better. And since my first visit, the hotels and the culture have gotten classier—now there are many weekend festivals attended by locals. And the pure-pleasure seafood would be worth a visit on its own. It’s still not quite a long weekend from the US, but now that the world has discovered Portugal, the Algarve is an ideal extension after touring city museums and neighborhoods, visiting castles and tasting wines. Just about three hours by train from Lisbon or two from Seville (less by car), it’s the place where you take a relaxed vacation to recover from your learning vacation. The “farm house” in this charming hotel’s name isn’t just marketing. Its 22 acres of grounds are dotted with herb and vegetable gardens, which play a big role in the kitchens—chefs step outside in their whites to snip rosemary and thyme—and add to the general beauty of the place. It’s a five-minute drive from the city of Olhão, but it feels far away from far away. After a major renovation two years ago, the 55 rooms are the height of simple boho chic—lime-washed walls and floors, straw hats and colorful sarongs hung as art. It’s a fine base for venturing toward the beach or into the hills, and the dedicated “experience consultant” has made it his mission to come up with activities to enlighten and entertain guests every day of a weeklong stay. What comes to mind when you picture a perfectly picturesque Portuguese fishing village? It probably looks something like Tavira: cobblestoned streets, a pretty riverside harbor, buildings clad in colorful azulejos, ancient churches and simple seafood restaurants. It’s a short drive from Vila Monte. It’s not by the sea, but it’s the quintessential seaside restaurant: no frills, no pretension, just seriously good fish that was swimming a few hours earlier. There’s no menu. You pick a fish from the counter by the entrance, sit down and eat what they give you: bread and olives, tomato and onion salad, roasted potatoes, a carafe of wine and finally, that fish. Olive oil is a cornerstone of Portuguese cuisine, but it’s only recently that the country has started making small-batch, artisanal oils to compete on a world stage. One winner is Monterosa, a premium brand whose annual output isn’t enough to fill a shipping truck yet is good enough to earn awards from the likes of the New York Olive Oil Competition. It’s open for tours of the groves and production facilities, tastings of the oils they produce and picnics alongside country houses underneath the trees (BYO lunch—or let Vila Monte arrange). The Algarve is home to small-scale producers of other delicacies, including cheeses made with goat milk and cured meats from free-ranging black pigs (hence the ibérico in much jamón ibérico). With the right connections, you can arrange to hike with a local goatherd as he moves several dozen goats around his rugged land. The capper is a picnic lunch of their cheese and meat. The family behind it doesn’t sell directly to visitors, but Vila Monte can make arrangements. For nearly 50 years, this shop, the brainchild of an Irish and a Portuguese artist, has set out to demonstrate that traditional craft isn’t destined to the dustbin of history. The distinctive, beautifully painted ceramics gracefully recognize the past while carrying a contemporary sensibility that makes them transcend time and place. The Asian luxury brand’s debut in Europe, which opened in April, hit all the right notes. After a significant renovation, what used to be the somewhat troubled Tivoli Victoria, emerged as a five-star hotel that holds its own on a world stage. Public spaces were redesigned, partnerships with the best local artists and food purveyors were forged, and the commitment to authenticity grew. That means a tree in the lobby, made by a local artist, that combines branches from carob, almond and orange trees (the three main crops in the region); nightly fado performances with singers from the local fado association; and restaurants with a deep connection to Portugal, especially the new Ria, which pays homage to the Ria Formosa national park and the mind-bogglingly good fish and shellfish from the southern coast. Even the sea salt was painstakingly sourced. Algarve wines don’t have the cachet of Douro or Alentejo wines—too much sun, too much sugar (the award-winning sommelier at the Anantara told me he wouldn’t recommend an Algarve wine with Algarve food and would choose something lighter from the north instead)—but a growing number of winemakers is challenging that. One of them is Quinta do Convento do Paraíso, a family-run winery that’s producing some sophisticated bottles and offers tastings of them (book through Anantara) at their house near Silves. The house is a dream of a Portuguese country home, all blue and white and charm. (You can book it as a private rental.) It’s not for nothing that their signature wine is called Euphoria. Just slightly east of the developed marina at Vilamoura is Praia do Almargem, which stretches for nearly 10 pristine miles of protected land—you could walk to the regional capital of Faro. And the namesake beach at the Praia Verde Boutique Hotel, the sister property of Vile Monte, in the eastern part of the Algarve goes on and on. And if you go in the off-season (now), it’s plenty warm but there’s no one there. The Algarve — it even sounds alluring. Blessed with miles of rugged coastline, sandy beaches and an enviable climate, this rustic region on Portugal’s southern tip is bursting with character, not to mention record-breaking numbers of visitors. Last year, about 18m tourists flocked to the Algarve — and more than 1.3m rounds of golf were played there. Those numbers are expected to be eclipsed this year, with sun-seekers from Britain to the fore. If you happen to live in Scotland, the jewel in Portugal’s crown is closer than you might think. With regular flights from Glasgow Prestwick, Edinburgh and Aberdeen, you can land in Faro within four hours and be on a sun-kissed beach or golf course within five. The region is enjoying unprecedented growth and there’s no shortage of well-established resorts where peace, calm and gold-standard service are the order of the day. Take, for example, the five-star Quinta do Lago resort. Much like Kevin Costner’s character in Field of Dreams, the 1989 flick in which a farmer creates a full-size baseball pitch in a cornfield, one suspects that the Brazilian entrepreneur André Jordan had a similar epiphany when he clapped eyes on this pristine, pine-clad corner of the Algarve: build it and they will come. Fast-forward almost 50 years and the word on the orange grove is that Quinta, a golf resort Jordan created from scratch, might just be the best of the bunch. Sprawled across 1,600 acres in the Algarve’s fabled Golden Triangle, Quinta is a mere 20-minute drive from Faro airport and occupies an enviable position on the edge of the stunning Ria Formosa lagoon, a natural wonder of coastal barrier islands where flora and fauna thrive under 300 days of sunshine a year. Perhaps it’s all that sun, but Quinta is so highly polished that everything, even the road, seems to gleam and sparkle. It almost feels too perfect, which might be a problem for those who want a more rugged taste of the Algarve, but once inside the gates Quinta has a charm that is hard to resist. Rory McIlroy, the Northern Irish golfer, recently spent a fortnight at Quinta recovering from a rib injury, and gushed about its “first-class” facilities and service. The rental villas and townhouses are spacious, immaculate and well-appointed. The food at Quinta’s restaurants and bars is uncomplicated, fresh and delicious, and the overall service is indeed top notch. The little things — like being handed mosquito spray by a waiter who sees that you’re eating with one hand and fighting off the little blighters with the other — go a long way. And, of course, there’s the golf. The North and South courses are championship venues — the latter has hosted the Portuguese Open eight times — and boast some exquisite holes. The South’s 15th, a par 3 protected by a lake and bunkers, is said to be the most photographed of the Algarve but, in truth, all three of the resort’s courses are blessed with holes that often deserve a few extra seconds on the tee to absorb the views. Laranjal, named after the orange groves that populate the course, is the most recent addition to the QDL stable. It’s also the most forgiving, with fewer trees plus fairways that make finding an errant shot more likely. The courses are regarded as among the finest in the region, so playing them isn’t cheap, but you’re unlikely to feel short-changed. Green fees range from about £80 to £135, depending on the season (quintadolagogolf.com). A golf academy endorsed by the Irish golfer Paul McGinley can iron out the flaws in your game with technology. It’s also home to Europe’s only TaylorMade performance centre. (I’m pining for a set of M2 clubs after using them at Quinta — I’m sure I played better.) A 50-minute session with the head pro costs £90. Away from the undulating fairways and manicured greens, there’s much to keep the entire family entertained. Aside from watersports, the finishing touches are being put on the Campus, a sports arena consisting of a professional full-size hybrid sports pitch, 10 tennis courts (six hard court and four clay) and four padel tennis courts — padel is a cross between squash and tennis. New gymnasiums, a pool and cycling amenities are also in the pipeline. And if all that sounds like too much hard work, you can lounge around your private pool — most rental properties have one — browse the resort’s boutique shops or go property hunting; a new collection of plush residential homes have just gone on the market from about £2.2m. Where to eat: Koko Lane is a popular lunch venue where anyone can hit a few golf balls from a practice area. Try the Bovino Steakhouse for a mouth-watering selection of meats. Fresh seafood is served up daily at Casa do Lago (try the turbot for two), then relax outside with a cocktail and get in some chipping practice to a floating platform on the lake.